PHNOM PENH, CAMBODIA - Cambodia has agreed to resume a search effort with the United States for the remains of Americans killed in the Vietnam War, the Foreign Ministry said Sunday, after suspending the program a year ago as tension rose between the two countries. Prime Minister Hun Sen suspended the POW/MIA program when Washington stopped issuing some visas after Cambodia refused to accept citizens deported from the United States following their convictions for crimes there. Foreign Affairs Ministry spokesman Ket Sophann said Hun Sen had offered to resume cooperation in a letter Friday to U.S. Senator Doug Ericksen and Representative Vincent Buys. "The letter talks to this itself, especially the words: it is the reflection of our deep empathy with the families," Ket Sophann told Reuters. Hun Sen said the search program, which had run for 30 years until being suspended last year, would resume even though the visa curbs had "unjustly sanctioned" Cambodia. "As we have discussed before, and at your personal request, as well as that made by other U.S. organizations, my government, in the same compassionate spirit, agreed to resume this important POW/MIA field mission, regardless (of) the United States visa restriction in place," Hun Sen wrote. The U.S. Embassy in the Cambodian capital of Phnom Penh declined to comment. Hun Sen has said that the remains of half of the 80 American soldiers who went missing in Cambodia during the war in neighboring Vietnam have been found. Even after it ended in 1975, the Vietnam War remains an emotive issue in Cambodia. 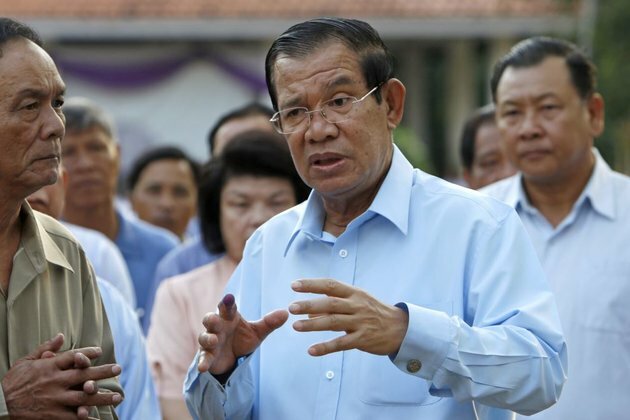 Hun Sen's ruling party won all 125 parliamentary seats in a July election the United Nations and Western countries have described as flawed after the main opposition Cambodia National Rescue Party (CNRP) was dissolved over accusations of plotting to topple the government. Hun Sen has accused the United States of plotting treason with opposition leader Kem Sokha, an accusation rejected by Washington.